I love Mani Ratnam’s idea of falling in love. Instant, unplanned it is. You see the person and sparks fly… never to really bite the dust. There’s no initial hate followed by a life-changing event, getting to know each other, gradually developing feelings and blah. Love knows no rules, religions or conditions like ‘if you do this for me, I might just fall in love with you’. So, OK Kanmani starts off from a template similar to the director’s own Alaipayuthey (remade into an equally delectable Saathiya in Hindi). What is striking about these two films (most Mani Ratnam romances, for that matter) is the maker’s characteristic touch. Playing smartly around what an emotional audience would savour, he crafts slightly convoluted (yet fun) exchanges between the lead players. He knows how to use plot devices (pigeons, mirror etc) to extract maximum drama out of the proceedings. 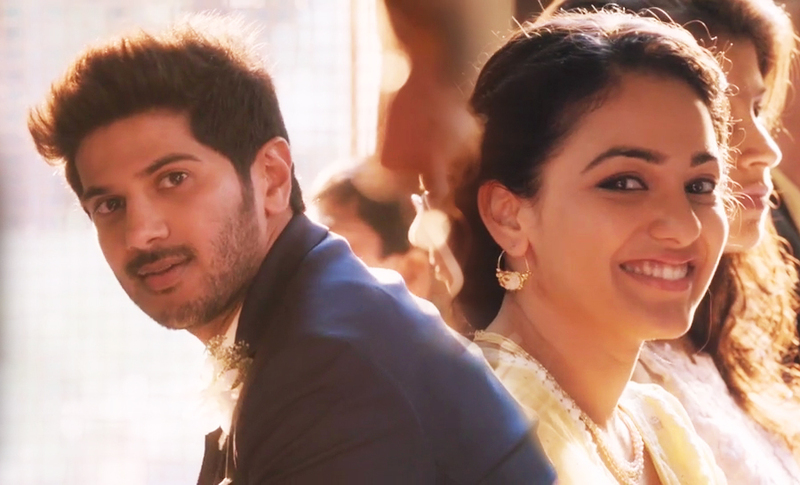 In OK Kanmani, we notice reactions. They aren’t in the same frame. They give us a moment to grasp what one character is going through and smoothly drifting to the other’s reaction. This ploy is used by many a directors – but given Mani Ratnam and those lovably exaggerated expressions of his characters, the impact is manifold. The below images will tell it all! Motion, as we saw in Alaipayuthey, is one major device to express the lovers , their turmoil, their passion for each other in the film. You see them ride a bike, travel on local trains, buses and drive a car almost clinging to each other. This physical proximity coupled with movement of the vehicle in question is indeed fascinating. Only Mani Ratnam could’ve have juxtaposed this thought into an exciting strategy to take the story forward. Talking about motion, it has also been used creatively in the song “Parandhu Sellava”. You also see clutter all around, in OK Kanmani. In Adi and Tara’s world, there is not much space. Crowded trains, buses and streets, small, dimly lit rooms – these tiny spaces makes them look all the more close, more connected. We easily buy it when they go through a tumultuous phase in their lives. There’s a soothing OST (courtesy A R Rahman and Vairamuthu) to back the proceedings. A gentle dose of déjà vu is one factor that holds OK Kanmani together. Be Mani Ratnam’s own romances or several other films (good ones, at that). The narrative is rather tight but the situations are predictable proving the film’s commercial template. We also have the elderly couple buying a deal for the young ones to live-in quite easily. All they had to do was to floor their landlady with the velvet-smooth Carnatic number. Character sketches of the couple’s families are terribly stereotyped, though I sort of enjoyed the sister-in-law’s character. Also we are not spared of a disabled character. Well. Trivial cribbing apart, Mani Ratnam’s latest venture has a lovely soul within. Two tautly penned protagonists and their tryst with each other is all what we’ll care for in those two odd hours. 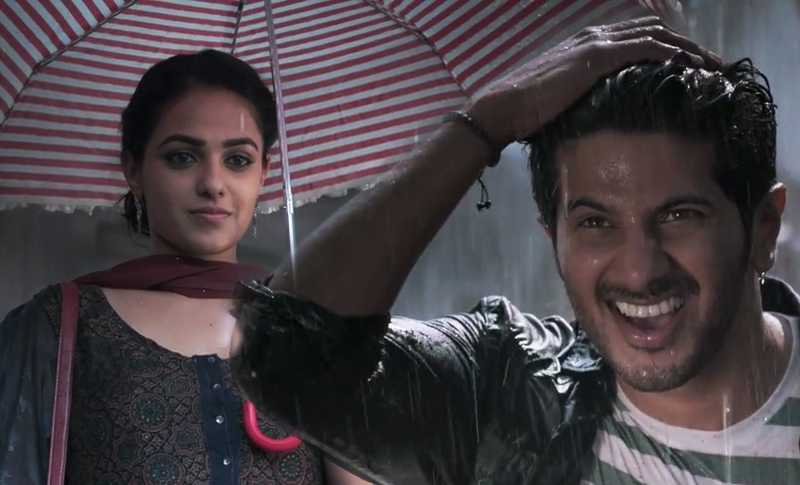 Be Aditya’s (Dulquer Salmaan) randomness or Tara’s (Nithya Menen) quirk, we see a generation of today that behaves the way they actually do. The film does test your patience midway through the second half with Adi’s sudden disappearance but soon catch us unaware with a spontaneous pre-climax that keeps us hooked. And those little moments projecting the generation gap between the young and old couple? Priceless. Let me tell you there are side effects of not watching an appreciated film on the first weekend. 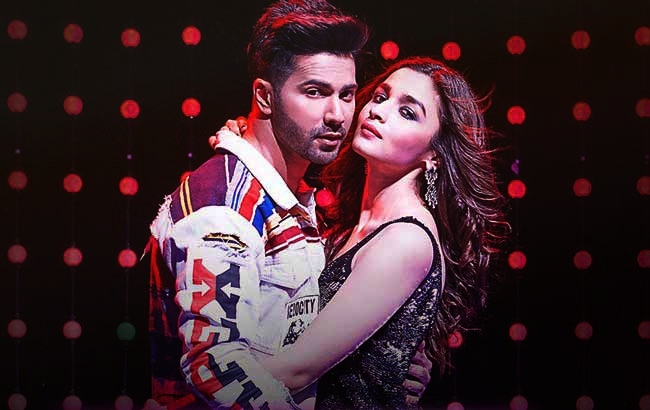 You come across unaware opinions that, “Oh the film is as breezy as any Mani Ratnam film” and I go, “Breezy, what?” Given the standards of mainstream Tamil Cinema, this one is niche and made precisely for the educated folks (just look at the lack of sidekicks, villains, punch lines and false eyelashes). This change itself is refreshing that we do not really need an artsy film to put ourselves out there. Just look at the way they’ve dressed up the leading lady and you’ll know the rest. Talking about the leading lady, Nithya Menen’s Tara is a ballsy woman. She has had her share of a bad past and doesn’t want to replicate any of those. She’s ambitious and doesn’t believe in sacrificing her career for love. She is the woman every educated man would like to wake up next to and the actor does complete justice to her character. But aren’t Mani Ratnam’s heroines major teases, in general? Oh yes! They are case studies on their own. Well, Dulquer Salmaan is a fresh face coupled with a dialogue delivery that’s a heady mix of Prithviraj Sukumaran and (ahem!) Salman Khan, in parts. With screen presence that can blaze the screen, the man’s here to stay. After all, he has got it in his genes. Leela Samson as Bhavani Aunty, apart from being a delightful character, is the element of humour in this film minus a Vivek or Santhanam blurting out SMS jokes. What appeals about Ms. Samson is her grace and poise, which itself lets her easily nail a lovely character. And yes, Prakash Raj stuns us in an everyday character and he is completely at ease. OK Kanmani , is a charming title, while “O Kadhal Kanmani” isn’t. Well, we know why it is so! Nevertheless, I’m not amused why the audience is taking majorly to the film. After all, Mani Ratnam always knew his job. This time he tried something that is light and didn’t require too much of your brain to be squeezed and the perfect cast make things come alive. The movie set me think about the kind of romantic love we should look forward to. Is it all about all singing the right songs or meeting all our set criteria? Not to be forgotten that the couple didn’t sacrifice their dreams or ambitions at the cost of going an extra mile in a relationship. Was reminded of an interesting line from one of my favorite Hindi feature films, “Jaise mohabbat hoti hai, waisi mohabbat” (Love, the way it is supposed to be). friends ans also sharing in delicious. And obviously, thanks on your effort! Previous PostRangeela (1995) – Munna’s love story! “Padmaavat”… Like a hideous painting in an intricate frame! 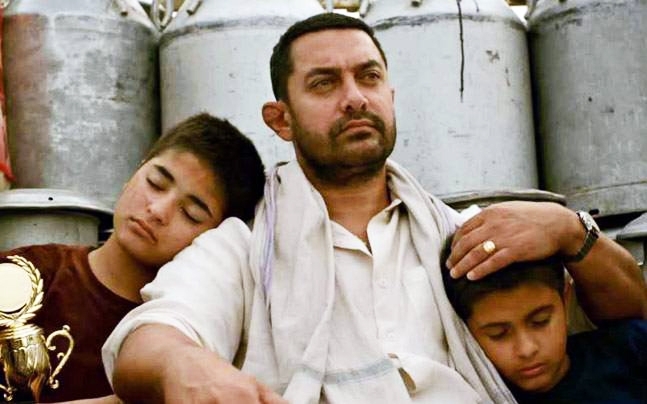 “Dangal”… Earthy, emotional and suitably mainstream!